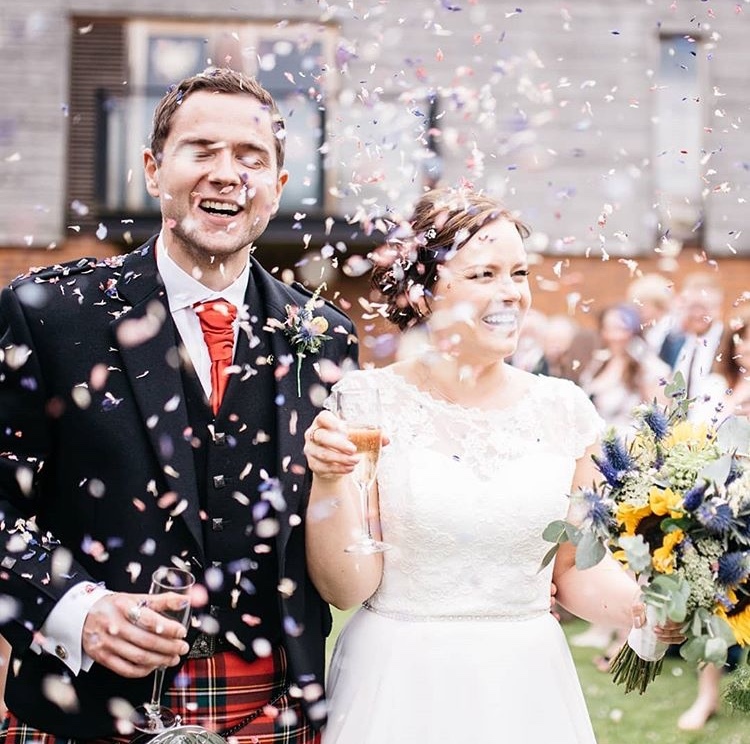 A summer wedding at The Carriage Hall in Plumtree for our lovely bride Antoinette and Alex (who looked very smart in his kilt!) was everything it should be. It was a beautifully sunny summer's day. Antoinette wore the Irene gown from Wendy Makin, a classically stylish wedding dress, that is relaxed and easy to wear.